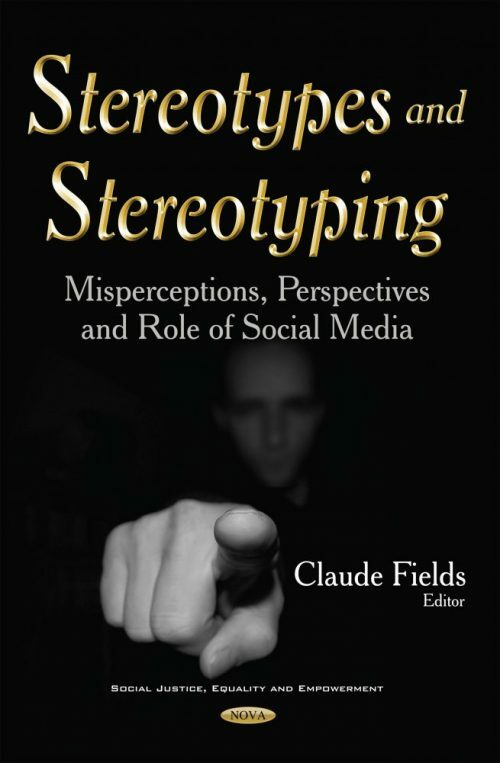 Stereotypes and Stereotyping: Misperceptions, Perspectives and Role of Social Media provides current research on misperceptions, perspectives, and the role of social media on stereotypes and stereotyping. The first chapter assesses implicit and explicit attitudes toward high socioeconomic status (SES) students and links these attitudes to the achievement and personality judgments of a high and a low SES student. Chapter Two reviews current national trends and interdisciplinary research in psychology, sociology, and education documenting educational disparities related to students’ gender, race and ethnicity, social class, and college generational status. Chapter Three discusses stereotypes towards people with AIDs in college students. Chapter Four examines if college women’s social media usage predicts how they budget their time regarding physical appearance and academic work while in school, and also examines if it predicts their perceptions of the relative importance of appearance related behaviors and domain specific skills for their future careers. Chapter Five studies demographic differences in the level of intercultural sensitivity, EFL interests, and ethnocentrism among college students in Taiwan. Chapter Six uses psychological theories and findings to identify and analyze factors that may have contributed to the deaths in the three shootings of Trayvon Martin, Michael Brown, and Tamir Rice. It considers the roles that physical appearance and shooter bias may have played in all three cases. Chapter Seven evaluates stereotypes in counter-stereotypic occupations. Chapter Eight provides an overview of the current research on the accuracy of national stereotypes and introduce results of a research project on national stereotypes in five Central European countries. Chapter Nine reviews the roles of identity processing styles and self-consciousness in aging and ageism.